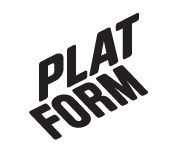 August 2012 – Platform r.f. ‘An object of desire already lost’ is an ongoing work presenting objects within an immersive environment that suggests questioning, possibility and radical otherness during a time of profound cultural uncertainty. Through continuing research a collection of textual, audio and visual objects that relate to mythologies of club culture have been generated. These objects take the form of an installed work evoking a repository of strange knowledge (engaging aesthetically with archival practices and museum display). The various objects (texts, transcriptions of conversations, photographic images, printed matter, techno music and ephemera) aim to question the ownership of culture, history, ideology and action as well as the limitations of culture as a means of individual, social and political transformation. Utilizing the language of recorded cultural histories the objects are rendered both recognizable and strange, raising issues of memory, imagination, desire, possibility and the function of cities in relation to human bodies. An object of desire already lost – Part 1 will be installed in the project space at Platform Kasern. Visual artist and techno producer Rasmus Hedlund will install audio as part of the event and an artist’s book produced by Emma Haugh during the residency will be shown alongside other new works. Emma Haugh is an Irish artist based in Dublin. Her background comprises Forum Theatre facilitation, club promotion, Dj-ing, photography and an ongoing involvement in the collaborative realization of queer/ alternate cultural spaces. Emma’s visual art practice finds points of departure that both resist and utilize knowledge and skills garnered from these activities. Starting points for active research are often built out of spoken language and the language of the body. Conversation and improvised exchange have become important processes for developing ideas, often documented through audio and textual transcription that moves back and forth. Subjectivity/objectivity, the imagination as a relational space, the physical/psychological boundaries that manifest in relation to architecture and the social/cultural hierarchies of our cities are ongoing themes. Emma has taken part in several residencies in Ireland and has co-organized an international residential project ‘engage 2012’ in Bucharest, Romania earlier this year. She recently produced a commissioned work with Commonplace projects in Dublin, curated by Sally Timmons, the work ‘Berghain’ will travel to Berlin for exhibition in early 2013. Emma has shown her work in several solo and group exhibitions in Dublin. This will be her first solo exhibition abroad.